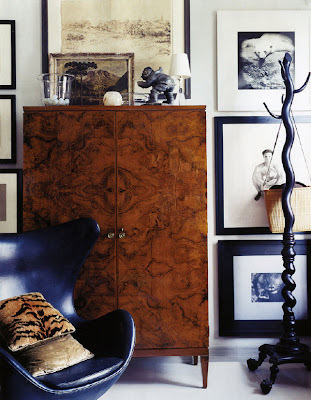 It takes a very talented designer to design a room that can literally stand the test of time. To be able to design an entire house in 1998 and in 2009 the room looks like it could have been done yesterday takes some talent. 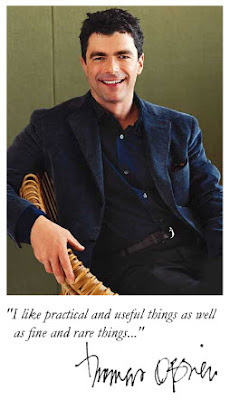 That is exactly what Thomas O'Brien has, lots and lots of talent. 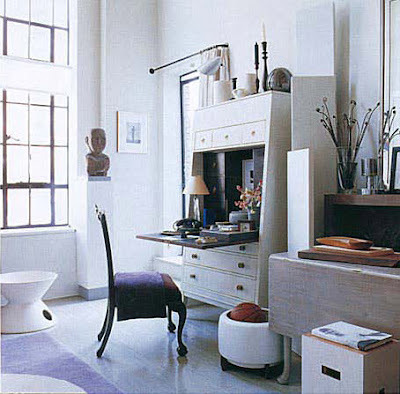 Although his personal apartment has changed some and it no longer looks as it did in 1998, it is beautiful and looks like an apartment designed for today. 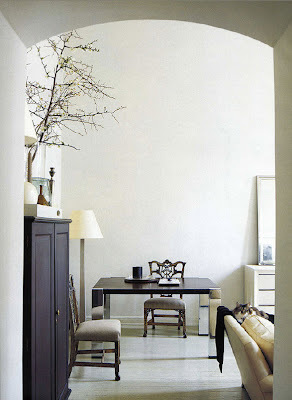 I love looking at the way designers live, especially one of my very favorites like O'Brien. Working from this office, O'Brien seems to have his hands in everything these days. 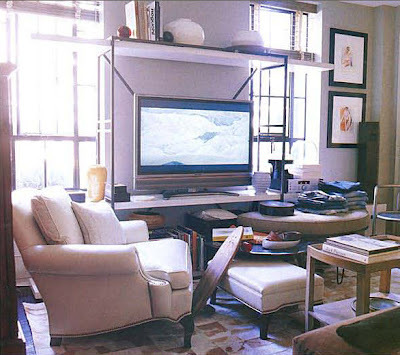 From Target, to Hickory Chair, Safavieh and much much more his designs are impeccable. 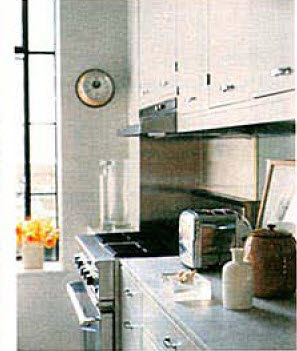 Looking back to June of 1998 his apartment was featured in The New York Times Magazine. 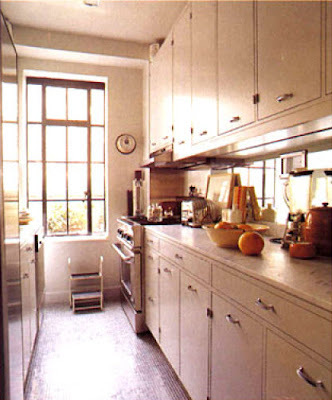 His 1100 square foot prewar apartment with 18 foot ceilings and white floors was beautiful. 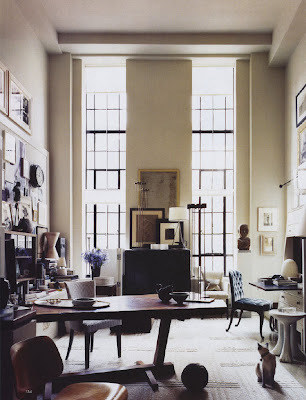 He had a modern, yet traditional space with not alot of clutter. 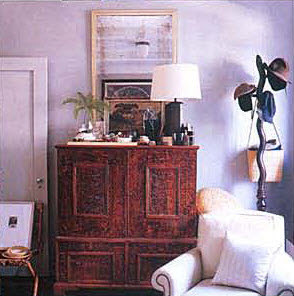 The other end of his living room with another table designed by O'Brien and a turn of the century American armoire. Just off the living room is his terrace- quite the view! 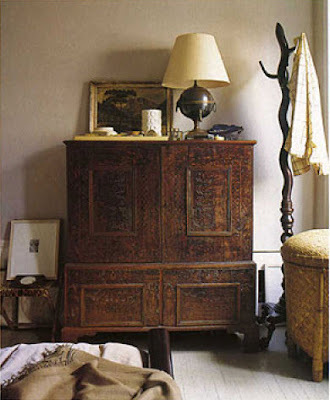 This corner of his bedroom is home to 18th century American cupboard, a lamp made out of a coffee urn and a turned coat rack. 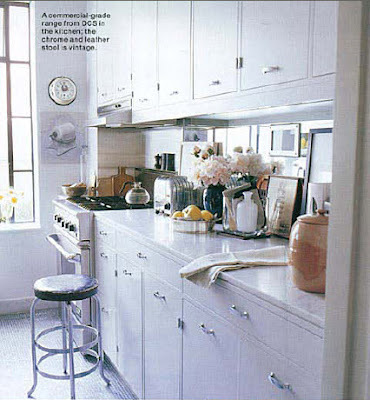 As with lots of designers, or designers who are consistently looking for change and evolving such as O'Brien, his apartment was published in House Beautiful in November of the same year (1998) and was changed up just a tad. 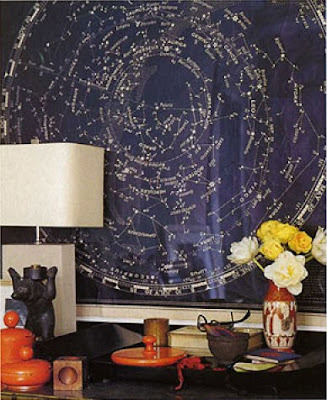 another view of his bedroom with a framed celestial chart hanging over a dresser. The kitchen looks the same too. 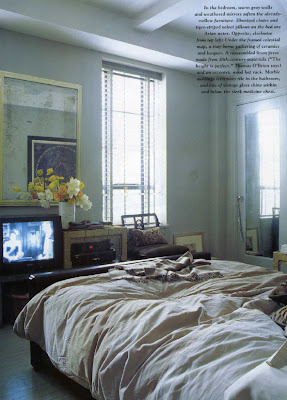 The next time his apartment was published in detail was in the 2006 July/August issue of Elle Decor. 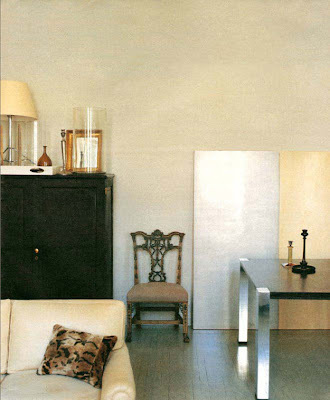 His minimalist decor was out and the cluttered collection of art, furniture and accessories was in. 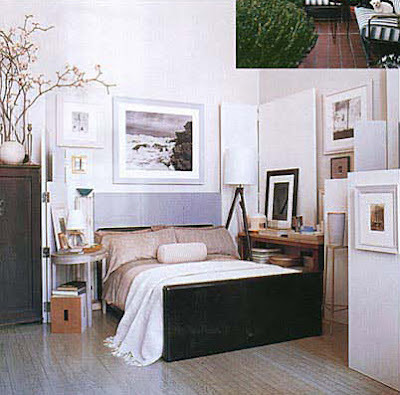 The major change is that he decided to move his bed into the living room and made a study out of his old bedroom. His bed is now in the corner of his living room. 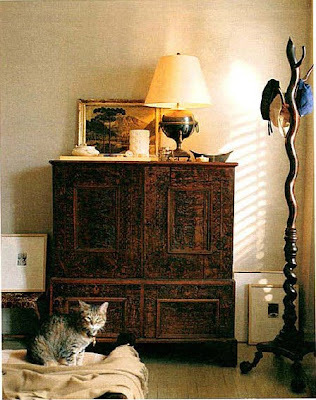 A much noticeable difference, his living room is now filled with lots of beautiful things. No minimalist look here. 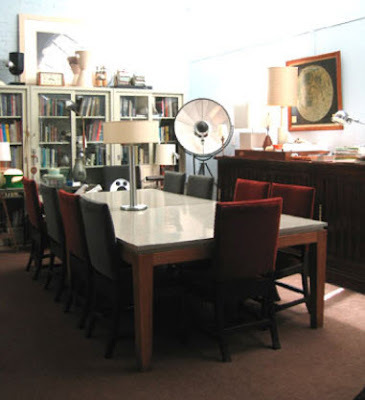 The fireplace is now covered with a table and a large white secretary next to it. 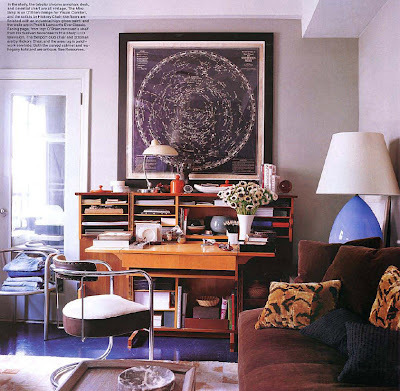 In November of 2007 House and Garden featured O'Brien's apartment and a it looks as if his collection of items has grown a little. The art is growing up the walls, a larger rug and items changed out here and there. 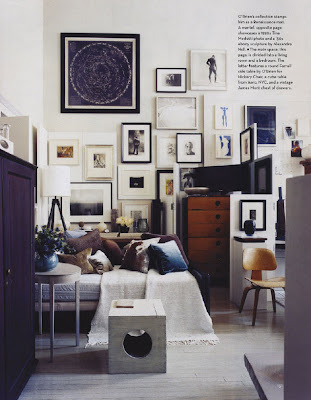 Same coat rack but updated with an egg chair, sleek armoire and lots more art. So there you have it, the same apartment four different ways and I'm sure its not the last we'll see of his personal space. I would love to live in a space like his, always changing, always fashionable and always with the latest and greatest in design ideas. Thomas O'Brien is on the top of his game right now with all his different design collaborations and it doesn't look like he is coming down anytime soon. Okay. Honestly, he is not my fave because I miss color and softness or else the rooms always seem way too cluttered but I look at him differently now that I read the Mrs. Blandings/ magnaverde post on him... I see something beautiful each time though, on the whole, he is not my guy... Be well, LEB! Great post! I love seeing the evolution of his home. Don't forget about his line of lighting for Visual Comfort. I have several in my home and love them. I adore his aesthetic and I agree that he is very, very talented. 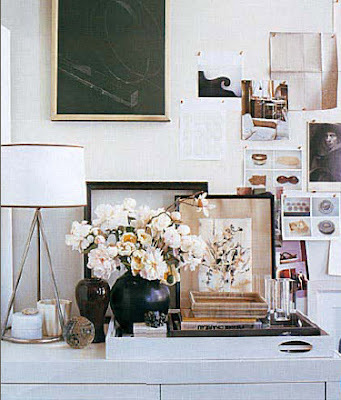 great post linds.i love his masculine take on clutter. 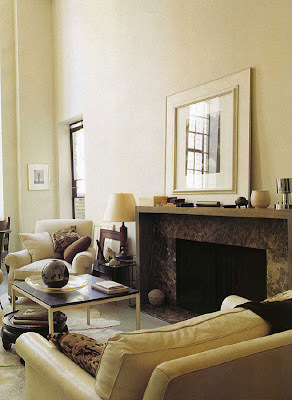 its still so streamlined and modern but soft. love it. L, what a great post! I loved seeing the changes from this perspective. The windows...the windows. 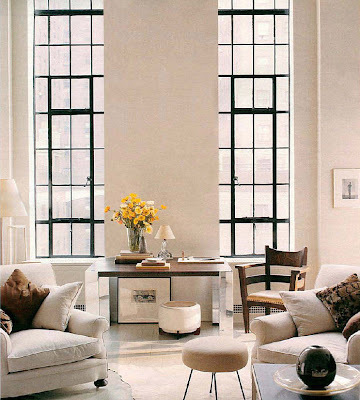 All I want are those windows! 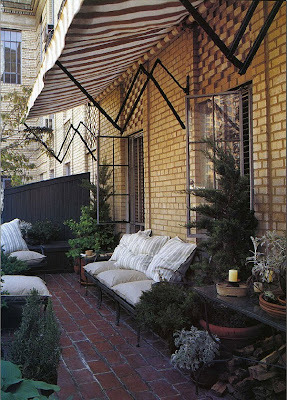 Am working on convincing my hubby to paint our basement windows black because I love the look THAT MUCH! Wow, what a cool post! I love the idea of looking at changes over time! Interesting choice to put his bed in the living room. I wonder if he sets it up like a daybed when he entertains. I really love his space! Makes me want to start from scratch! So interesting to see his style evolve but keep the same personality. 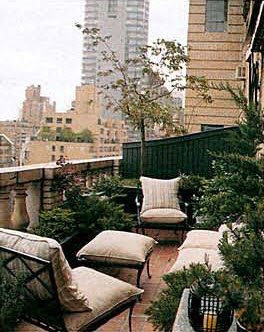 I love the terrace - it looks so comfortable and inviting! Also, that white desk/armoire thing is great. What interesting changes- I love all his work. Great post! 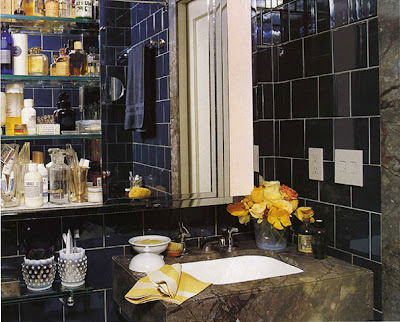 Loving the navy bathroom tile! Hi! Looking forward to meeting you too!! I think it's gonna be a fantastic day out with Eddie and Jaithan! What a great retrospective and lots of work to put together - great job! I don't really know his work but have heard the name. Thanks for the introduction! Amazing design!! 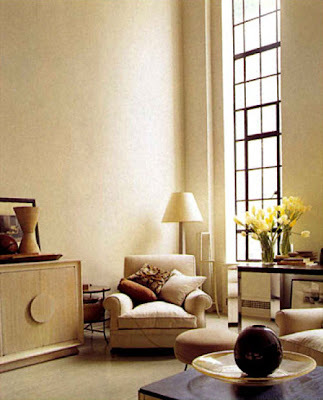 Check out the wide range of Apartment Furniture from Metroloft Furniture. 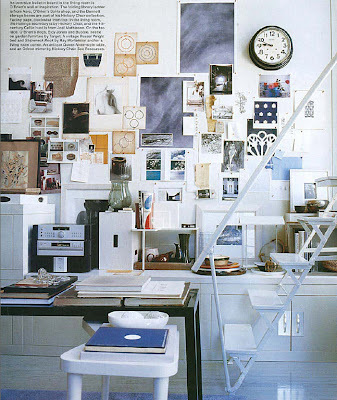 These spaces are very appealing and timeless; it was fun to look at them all together like this! great post. I say I'm a pro at identifying anything from the 90's...some of these images may have thrown me. I LOVE LOVE Thomas O'brien and have searched the internet on many occasions for countless hours trying to find a new photo that I have not yet seen. 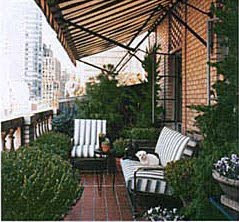 Your post was fantastic and it was so nice to see how his apartment has emerged over the years. Thank you!! I love him. He is not pretentious. The room is photographed just as he actually lives. 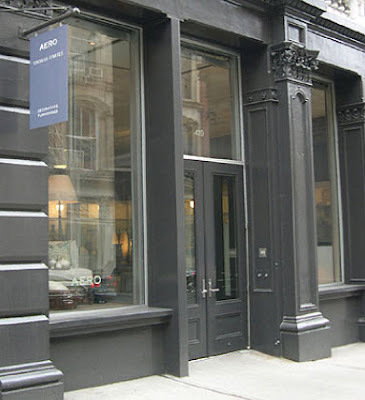 It's not a showroom - it's truth. It's not a facade that comes down when no one is looking. You can tell he really knows who he is and makes no apologies. He makes it his own - that's how it should be, ever evolving. Thanks for being an inspiration.